PIGEON FORGE, Tennessee -Pigeon Forge tourism officials are reinforcing that the city’s many attractions, theaters, restaurants and lodging properties are operating as usual after recent wildfires in the area. The announcement comes after Gatlinburg Mayor Mike Werner encouraged visitation to the area as a show of support. 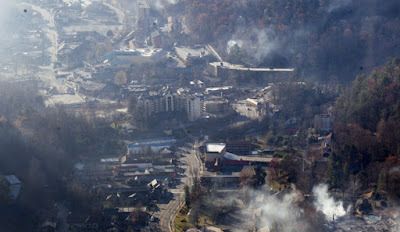 “If you really want to do something for Gatlinburg, come back and visit us,” Werner said in a Nov. 30 press conference. Pigeon Forge businesses were not damaged during this week’s fires, and businesses are operating as usual. The city’s Winterfest festival continues, including several Christmas shows at various theaters. Dollywood theme park reopens on Friday, Dec. 2. Restaurants and lodging properties are operating on normal schedules. City-wide support includes 30 Pigeon Forge firefighters currently stationed in Wears Valley. Of the 500 evacuees in Pigeon Forge, fewer than 20 remain in the Pigeon Forge Community Center shelter. The Tennessee Emergency Management Agency (TEMA) and Tennessee Voluntary Organizations Active in Disaster (TN VOAD) have set up a call center to provide information for those who would like to donate goods and volunteer to help survivors. For a list of the most-needed items, please visit http://mypf.social/pfdonationneeds. The call center is staffed from 8 a.m. to 8 p.m. daily; the phone number is 866-586-4483. To support displaced residents and visitors, Pigeon Forge established a distribution center to disperse donated food and supplies. Located just off the Parkway in Pigeon Forge in the former Boyds Bear building at 149 Cates Lane, the facility is open Monday through Saturday from 9 a.m. to 4 p.m. and Sunday from 1 to 4 p.m. Chronicle is from Denham Springs, Louisiana. We formed the group in April 2009 and thank God that we have had the opportunity to sing and minister across the southern United States. 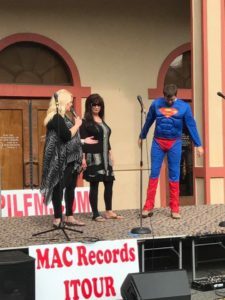 Group members are Tim Kinchen, Missy Kinchen and Wendy Lowe. The trio Chronicle will bring great southern and country gospel music along with praise and worship to it's audiences. We use tracks along with saxophone and acoustic guitar. It is such a privilege and honor for us to work with our producer Ricky Atkinson and Resting Place Music. This partnership along with much prayer has allowed the group to attain great success at radio. We all attend local churches in the Livingston Parish area, and all have conservative christian values. We believe that salvation only comes through the shed blood of Jesus Christ. We want to thank all who have contributed to the growth and success of Chronicle. Mostly we thank God for opening the doors and providing the means needed, to spread His glorious gospel. 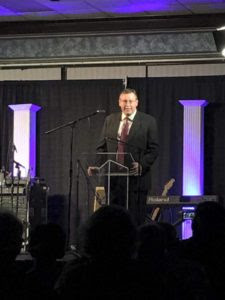 Looking forward to ministering at your church or function. 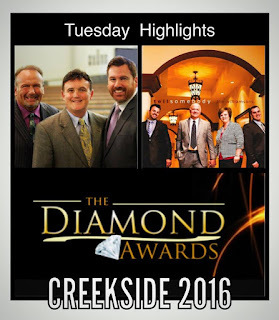 Pigeon Forge, TN (November 2, 2016) – Creekside Gospel Music Convention was the site for the 2016 Diamond Awards presentation on Tuesday, November 1st. 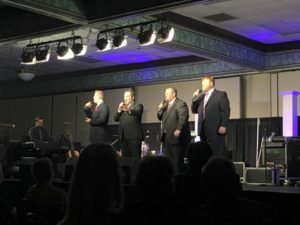 Among the winners present in the Smoky Mountain Resorts auditorium were Ronnie Hinson, Gold City Quartet, Freedom Quartet, The Williamsons, Jeff Stice and more. 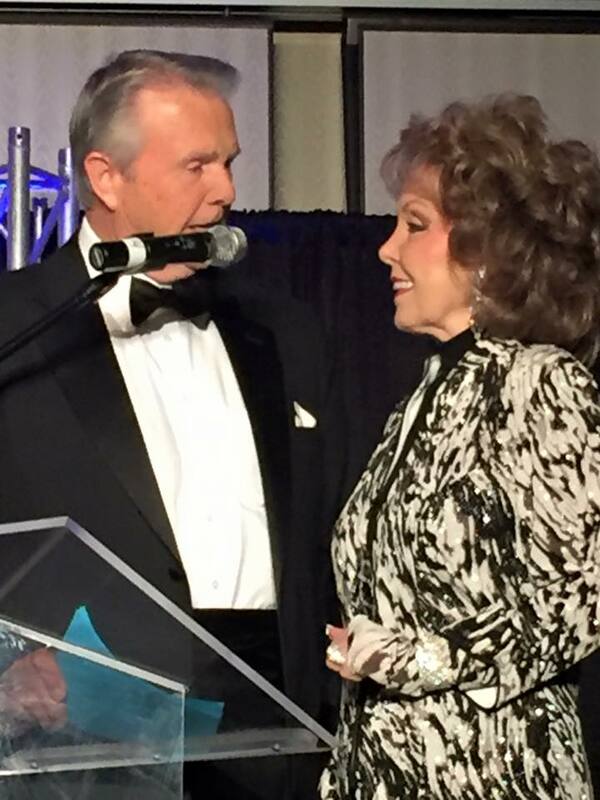 The gala evening was emceed by Dr. Jerry and Jan Goff and attended by a large enthusiastic crowd. Mark 209 closing out the Talent Search at Creekside with In God We Still Trust. Creekside 2016 began on Monday, October 31 with an outdoor hot dog roast and a Gospel Music Talent Search. Mark 209 helped to warm up the crowd as well as a special appearance by Superman. You never know who is going to show up at Creekside! Scott Roberts and the Five O'clock Band opened the evening concert with an enthusiastic crowd gathering from the exhibit hall. 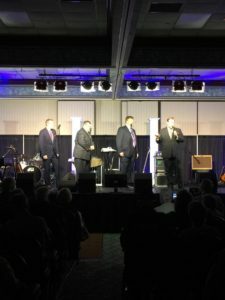 Featured artists on Monday evening were Gold City Quartet, a name synonymous with great Quartet music. Creekside welcomed Dr. Jerry Goff as he honored Archie Watkins, one of the founding members of the Inspirations. Many of Archie's friends and fans were in the crowd to show their appreciation for his tireless support of Gospel music. Following the concert, many artists and fans went to various eating establishments and then gathered in the breakfast room at the Ramada Inn for Midnight Prayer, led by Charlie Sexton. Today's events continue the excitement with a breakfast event featuring Tim Greene and the Greenes. 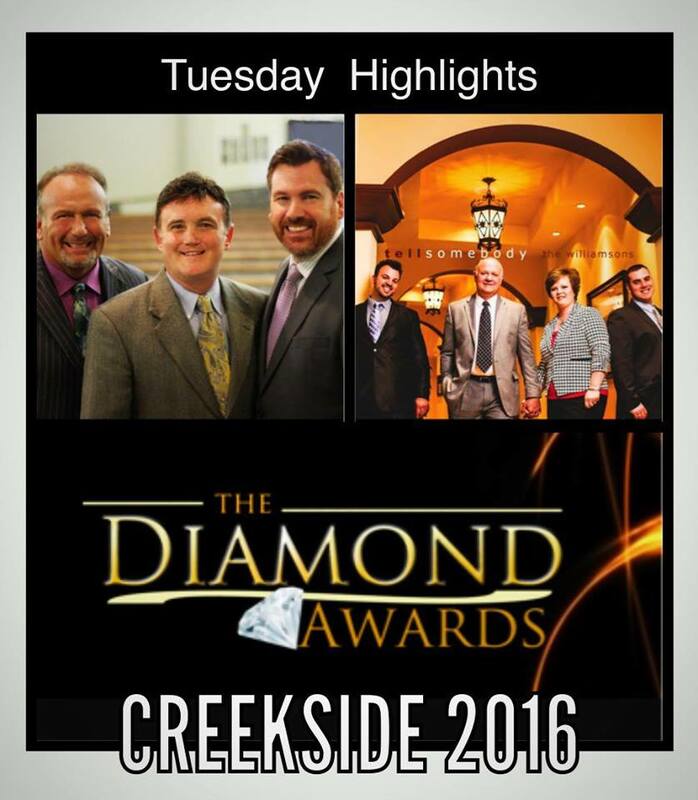 Tonight, Creekside will host the 2016 Diamond Awards. 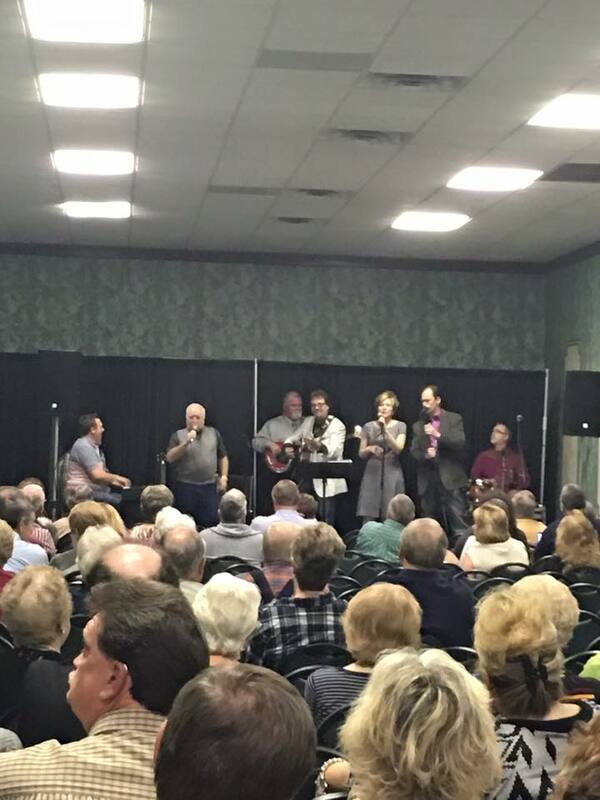 Creekside Gospel Music Convention runs until Thursday evening, November 3rd. 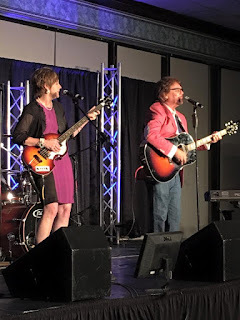 This is a free event and all music fans in the area are invited to come to the Smoky Mountain Resort for morning showcases and evening concerts. tomorrow morning, all eyes will be on the players at the Creekside Classic '16 Golf Tournament. For more information please call Vonda Easley at 256-319-7892. For more news and pictures visit the Creekside Facebook page. The Singing Epps Are Signed Up For Creekside 2017! Over 50 years ago Rachel Epps along with her two sisters, Lois and Ruby birthed what is known today as The Singing Epps Family. A few years after their beginning however Rachel’s sisters married and moved with their husbands to far off locations, leaving Rachel with just her children to continue what they had started. So with Dianne, Haynie, Mary, Susan, and Mike she started with chapter 2 of the family ministry. 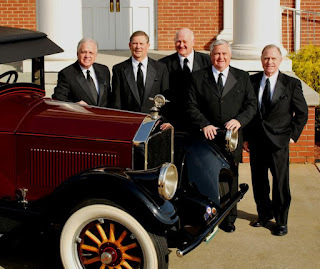 The family, then strongly influenced by such groups as The Hinson’s, and The Rambo’s, and The Happy Goodman Family soon became a local favorite. Their “downhome”, genuine, lay everything aside style of worship and music was not only witnessed, but expected by their audiences. However, through the years, each sibling but Haynie would leave the group, leaving Haynie with the same scenario as his mother before him. So Haynie, along with his daughters Wanda, (which was already in the line-up), Angela, and Christy embarked on chapter 3 of the journey. Sadly, in March of 2008 a well-known, and well-loved William Haynie Epps passed on leaving the legacy to Wanda, Angela, and Christy who were joined by Wanda’s husband Terry, and Christy’s husband Dwayne. Also joining the group were long-time friend Steve Lang, Wanda and Terry’s son Willie, and Terry’s cousin Melissa for what was chapter 4. By God’s amazing grace, He has allowed The Singing Epps Family to travel and be a part of events that they had never thought possible. 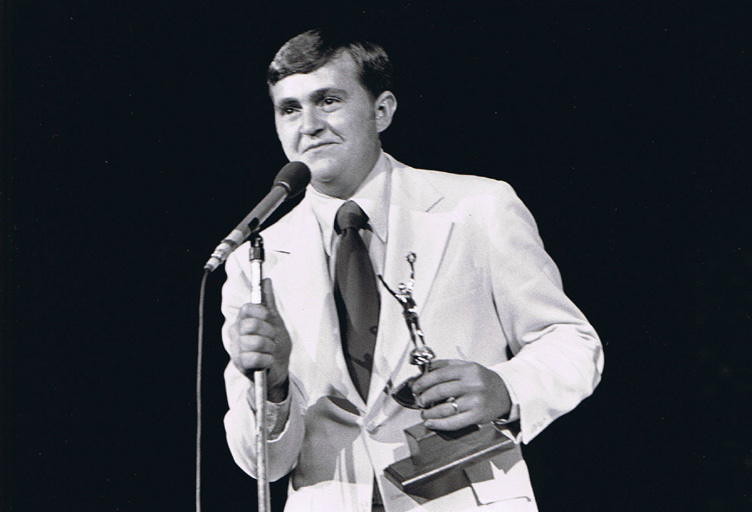 One such honor was winning third place at the 1989 National Quartet Convention Talent Search. Another has been to share the stage with many of the top artists in the industry. And another is to have been on the Shipp Family Gospel Fest line-up on Carnival Cruise Lines for four years. 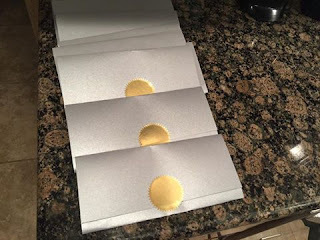 But they again will be quick to tell you that the greatest honor of all has been for the Lord to have allowed them to bring forth His gospel. Their desire is truly the ministry. To see the lost come to the realization that there is no other way to true peace, nor to salvation but through the blood of Jesus Christ. And to the church that Jesus is alive!! And that we as the church should be excited to serve Him with all our heart!!! The date is October 30-November 2nd is the date for Creekside 2017. Here’s a little “special deal” on Black Friday for the Creekside Family and possible newcomers to the 2017 event. Tickets are $25 each. Today, you get 2 for $25. 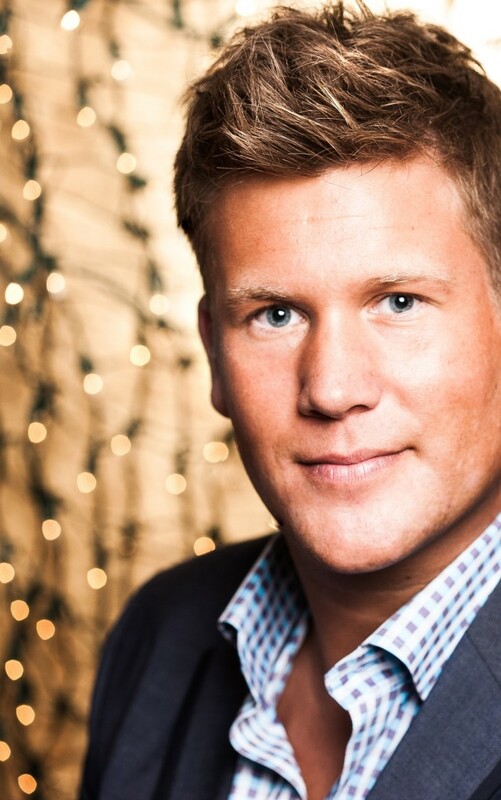 Don't Miss Veterans Salute and Talent Search on Monday, Tim Greene on Tuesday! 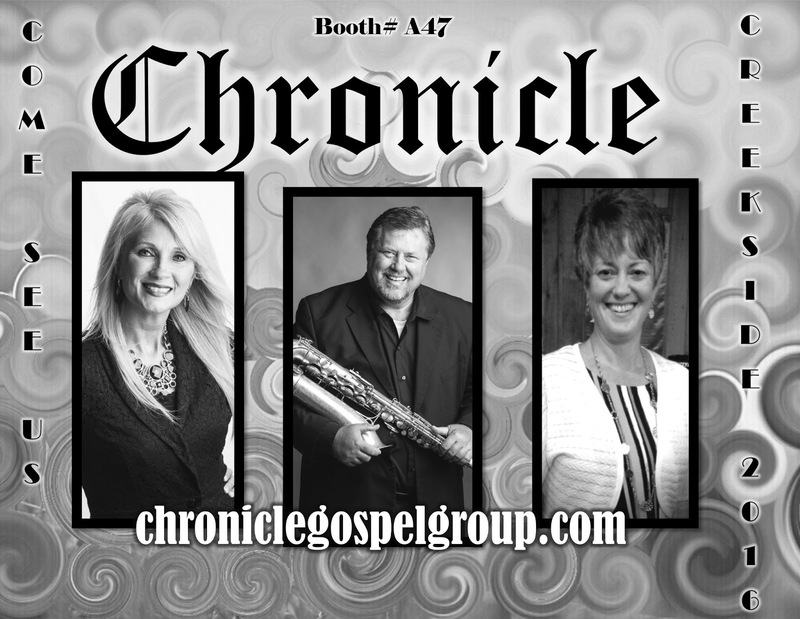 Yes it’s almost time for Creekside Gospel Music Convention at Pigeon Forge. We hope you have already made your plans to be there. The tickets are free but must be reserved through www.creeksidegospelmusicconvention.com. Creekside runs October 31st through November 3rd, 2016, at the Smoky Mountain Convention Center, Pigeon Forge. If you are still looking for accommodation, please contact Salina Clay for hotel reservations at hotels@sgnscoops.com or by phone at 256.239.7716. 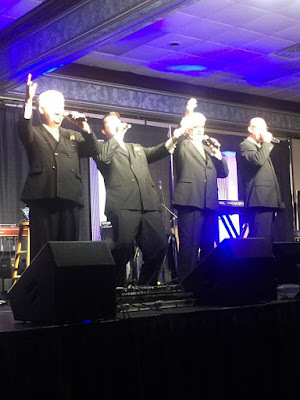 Daytime showcases and special events, afternoon exhibit hall and jam sessions, evening concerts and midnight prayer ensure that your days and nights will be filled with good Gospel music. Monday, October 31st will begin with a bang, as Creekside salutes our Veterans and holds the first Creekside Gospel Music Talent Search! Creekside will begin the day with an outdoor hotdog roast at the Ramada Inn - Smoky Mountain Convention Center at 11:00 and all our Veterans will be able to eat for free. And what better to accompany a hotdog than great Gospel music. 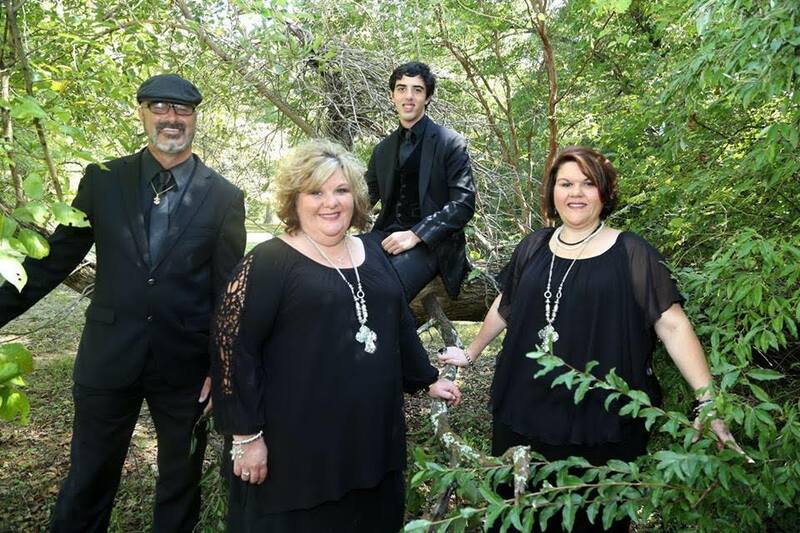 The Creekside Gospel Music Talent Search will be held outdoors at 11:00 a.m as well. The entry fee is $175. Everyone is invited to come out and support the contestants. 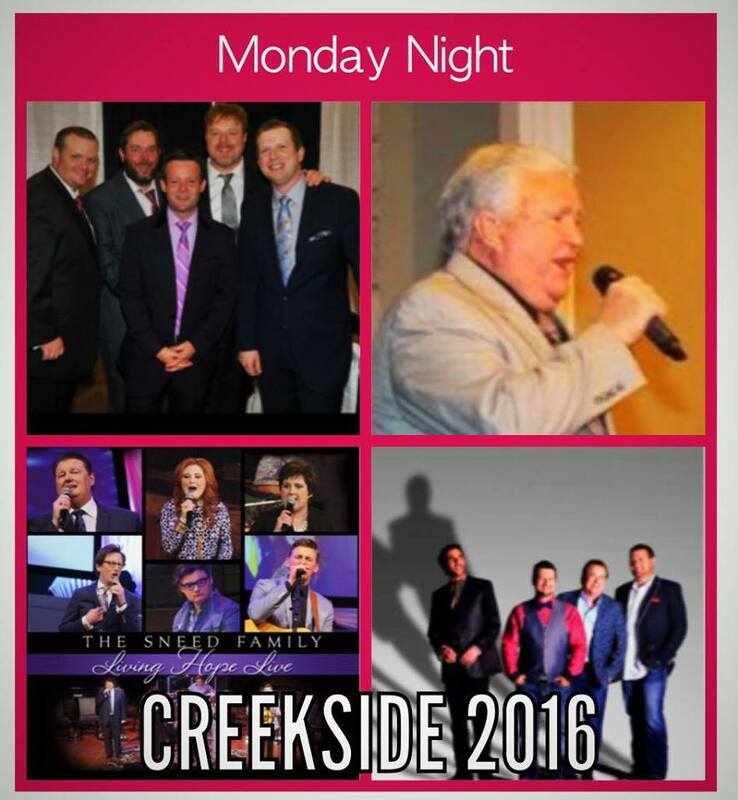 There will be a Grand Prize and Runner-Up winner that will be announced at the Monday night Creekside Concert. The Grand Prize package includes a six song EP valued at $3,000 and includes studio recording time at Studio 115A in Columbus, MS, engineer/producer, mixing/mastering, and two copies of the final mastered project. Studio musicians and product/CDs are not included. This incredible package also includes three months of full page advertising valued at $3,000 in SGNScoops Magazine plus three months of national radio promotion for one song by Hey Y’all Media and a featured interview on Vonda Easley’s radio show, Simply Southern, valued at $3,000. In addition, the grand prize winner will perform on Thursday night at the prestigious Diamond Awards show. The Runner-Up package includes a certificate for $300 off a 10 song recording project at Studio 115A in Columbus, MS, one month of advertising in SGNScoops Magazine valued at $250, and a single digital song release by Hey Y’all Media valued at $99. The Creekside Gospel Music Talent Search is open to all Gospel music artists, including solos, duos, and groups. Each participant will have eight minutes to showcase their musical talent via track or live music. The entry fee is $175. To register for the Creekside Gospel Music Talent Search, call Leslie McKay at (662) 312-4146. The Monday Evening Concert Will be Better than Halloween! Monday afternoon the Exhibit Hall will open, filled with artists’ booths and singers waiting to chat with you. The Hall will be open every day and is part of your free admission to Creekside. 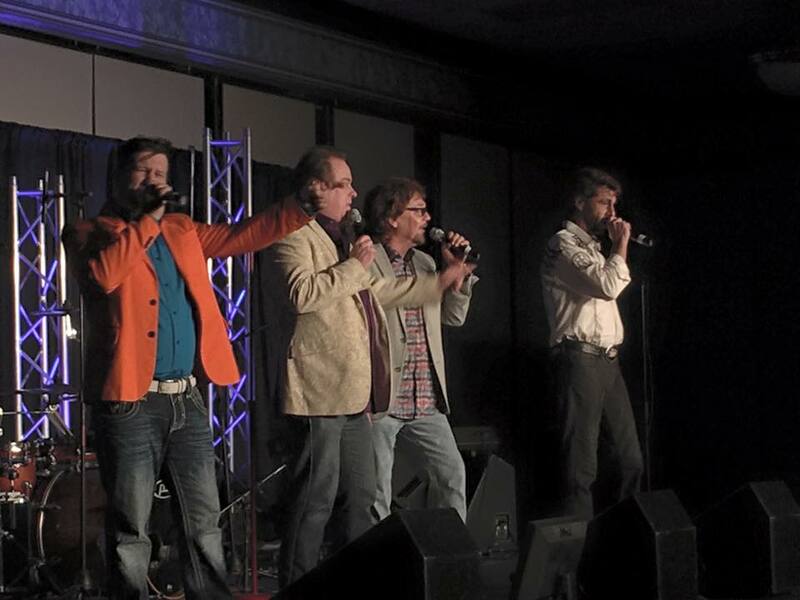 The evening concerts begin at 5:00pm with Scott Roberts and the Five O’clock Band! Following this will be a great lineup of Gospel music. Some of the artists performing at Creekside include: Mark209, The Plath Family, The Riders, The Pine Ridge Boys, Shellem Cline, Alliance Quartet, Drummond Family, Heart’s Song, Sharps Quartet, Jordan’s River, Griffins, McKay Project, Surrendered, Chandlers, Connells, The Hyssongs, Ava Kasich, The Williamsons and more. Our featured artist for Monday evening will be none other than Gold City Quartet. 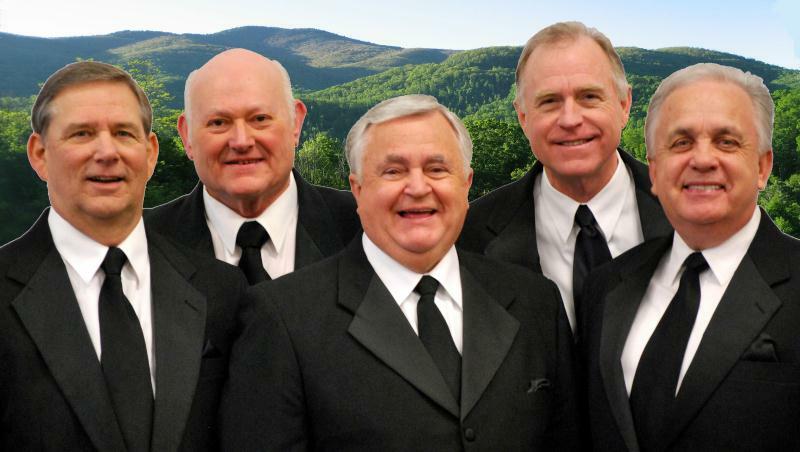 Since 1980, this Quartet has been one of the leading artists in Southern Gospel, with numerous awards and charting songs to their credit. Current members include Chris West - Bass, Daniel Riley - Baritone, Scott Brand - Lead, Thomas Nalley - Tenor, Bryan Elliott - Piano and Dillan West, Sound Engineer. 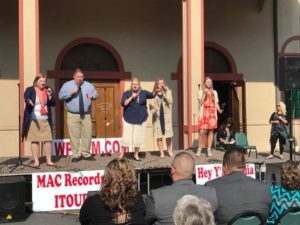 Their latest charting songs, “Farther Along” and “Victory In Jesus” are off of their Hymn Revival album, with another project currently in the works. Every Monday evening during Creekside week, we honor a leading member of the Gospel music community and this year we will honor Mr. Archie Watkins. 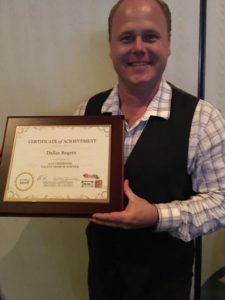 For those of you who may not be familiar with this gentleman, he is one of the founding members of The Inspirations from Bryson City, North Carolina. 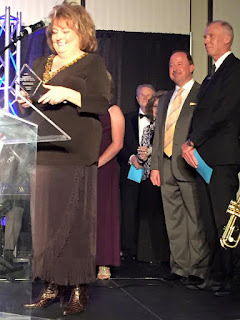 SGNScoops is thrilled to join with host Dr. Jerry Goff in recognizing this distinguished gentlemen. Many of Archie’s friends will be joining us that evening, to remember stories from days gone by and to indeed honor Archie by their presence. Among these will be Troy Burns and Eddie Deitz. We might even get Archie to sing a number or two. 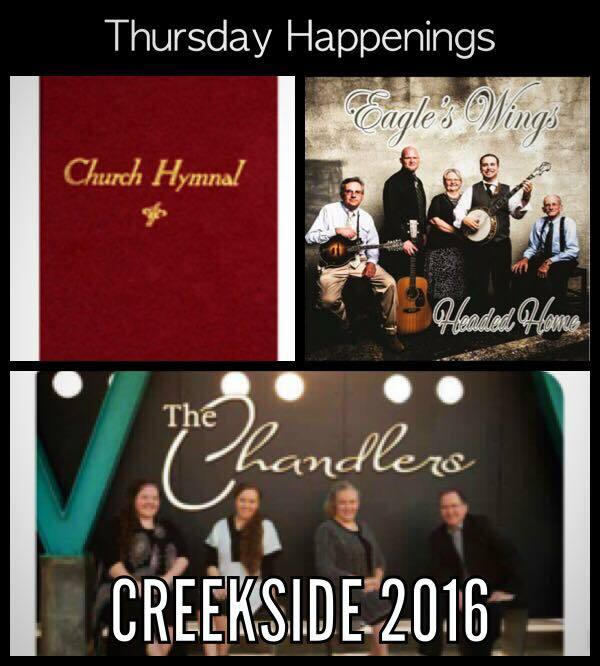 Don’t miss this auspicious beginning to Creekside 2016. 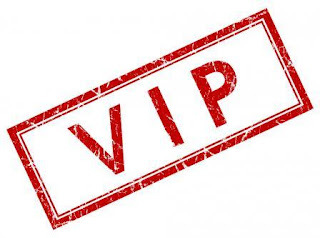 Tuesday, November 1: Extra Special Guest coming to Creekside! 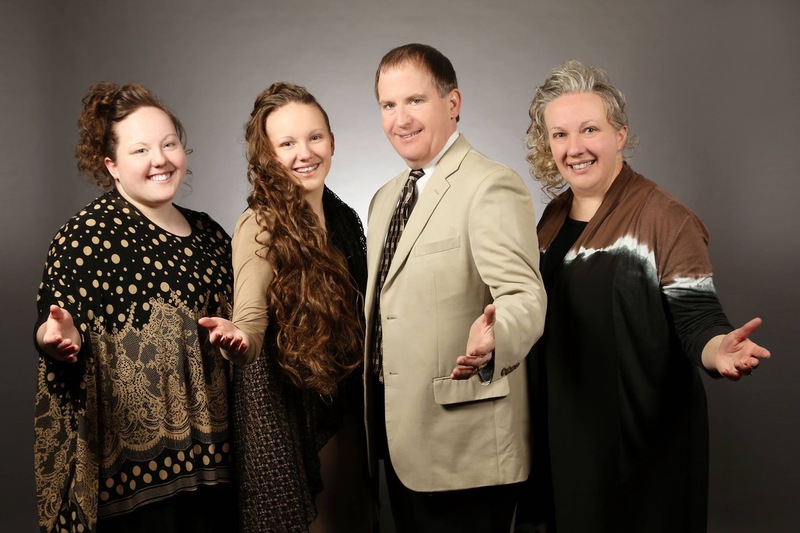 This special breakfast will feature the music of this vocalist who began singing with his father Everette, brother Tony and sister Kim Greene Hopper in 1979. The Greenes still minister today, traveling and sharing the Gospel and Tim’s experiences of healing. "The Greenes are excited to be singing at Creekside Tuesday morning Nov 1," says Tim. "I know the Lord will do great things!" 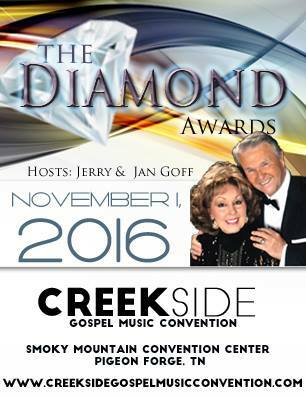 The 2016 Diamond Awards will be presented on Tuesday night, November 1st, 2016, during a celebration hosted by Dr. Jerry and Jan Goff. Special musical guests and industry personnel will be on hand for the gala. The winner from Monday’s Talent Search will also be performing on this special evening. The evening will not only be a time to honor the best in Gospel music but also the time to praise the Maker of music and life, Jesus Christ. Midnight Prayer will give you a chance to respond to the message in song. Reserve your spot at the newest Southern Gospel Golf Tournament on Wednesday, November 2nd, for men and women of all ages. Reservations are $25 per person. Contact Russell Wise to register yourself or a team at 256-458-6943. Following the Creekside Classic ‘16 will be the afternoon Jam Session with The Five O’clock Band. Wednesday night and Thursday night also have special events happening during the evening program, so plan to stay the entire time. 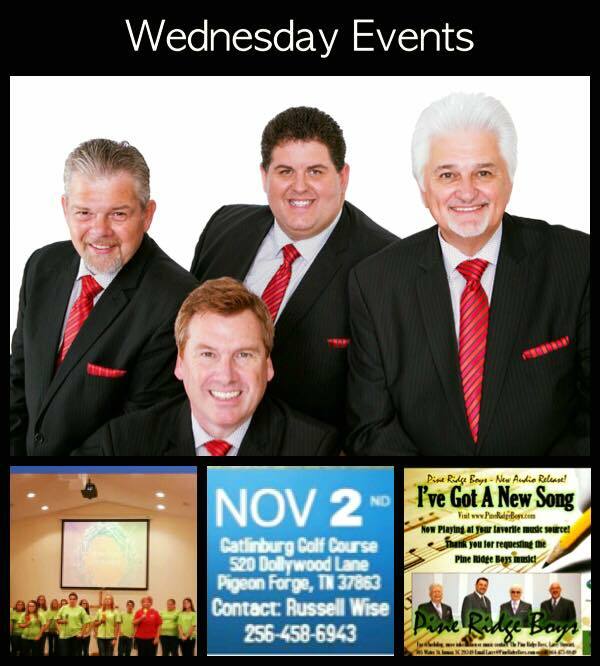 Wednesday night we welcome special guests Freedom Quartet. Don’t forget to attend Midnight Prayer. Morning showcases, afternoon Jam Session with The Five O’clock Band and a special Evening Concert will finish Creekside 2016 with a bang! 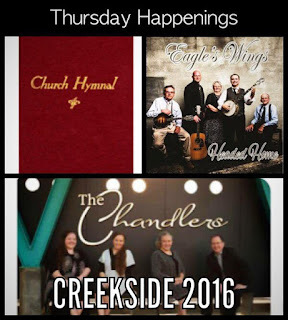 Hymn Sing Choir, Eagles Wings and the Chandlers are featured. Other surprises are in the works to make your attendance worthwhile and a chance to worship the Lord. Your Creekside fifth anniversary tickets must be reserved here: Creeksidegospelmusicconvention.com. 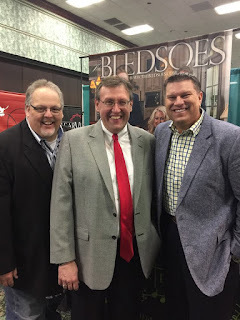 Creekside Gospel Music Convention - Update! 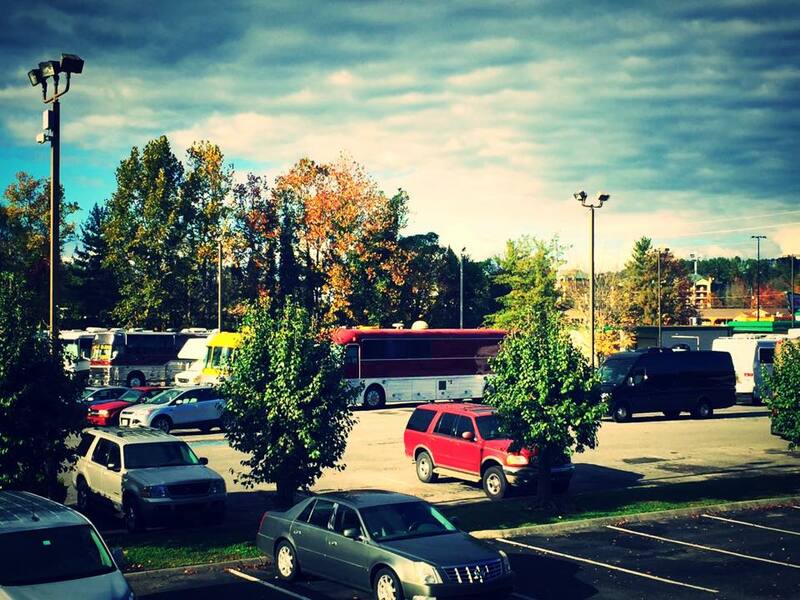 Creekside Gospel Music Convention is almost here and we trust you have made your hotel reservations. Creekside runs October 31st through November 3rd, 2016, at the Smoky Mountain Convention Center, Pigeon Forge. 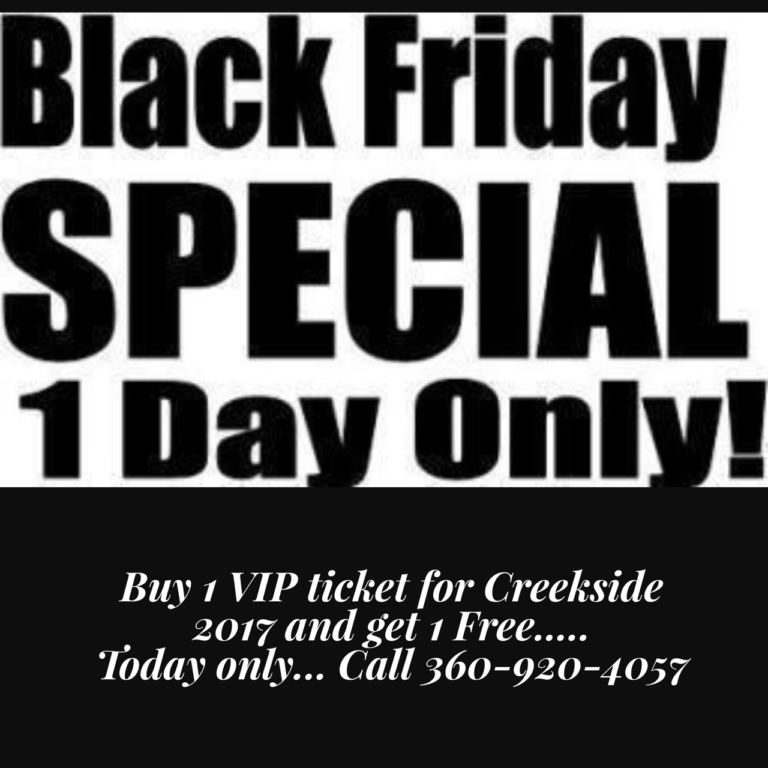 Remember that the Creekside tickets are FREE but must be RESERVED! Do it today at www.creeksidegospelmusicconvention.com. Every Monday evening during Creekside week, we honor a leading member of the Gospel music community who has spent most of their lives promoting this music and lifting up the Name of Jesus. 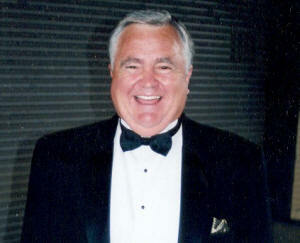 This year on October 31, we will honor Mr. Archie Watkins. 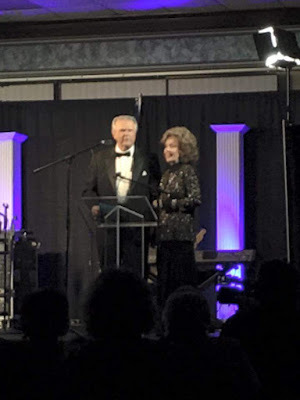 For those of you who may not be familiar with this gentleman, he is one of the founding members of The Inspirations from Bryson City, North Carolina. At the age of 15, Archie was travelling with this mountain-born, traditional quartet and singing such hits as “Jesus Is Coming Soon” and “Touring That City,” and appearing on the Gospel Singing Jubilee. After 45 years with the Inspirations, Archie moved on to other projects. 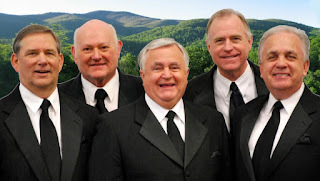 One of these is appearing several times a year with Archie Watkins and Smoky Mountain Reunion, singing alongside friends Marlin Shubert, Jack Laws, Troy Burns and Eddie Deitz. Archie also has a full touring schedule of his own. SGNScoops is thrilled to join with host Dr. Jerry Goff in honoring this distinguished gentlemen. Many of Archie’s friends will be joining us that evening, to remember stories from days gone by and to indeed honor Archie by their presence. Among these will be Troy Burns and Eddie Deitz. We might even get Archie to sing a number or two. "Archie Watkins is one of the most recognizable voices in Southern Gospel," says Dr. Jerry Goff. "He was the sound that identified the Inspiration Quartet. His committed life to Christ is another great quality of the man. He deserves to be honored by his peers." 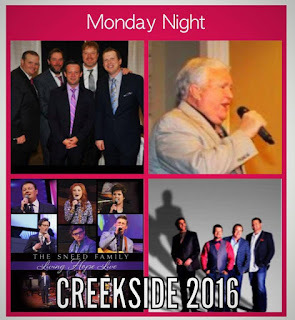 Don’t miss this auspicious beginning to Creekside 2016. Reserve your accommodations at one of Pigeon Forge's finest lodgings, the Ramada Hotel at the Smokey Mountain Convention Center, now. Rates start as low as $182 per person (based on double occupancy) for reservations call Rob at 360.933.0741 or contact Salina Clay for hotel reservations at hotels@sgnscoops.com or by phone at 256.239.7716. Don't miss the special events happening every day and night, including the Diamond Awards, Hymn Sing, daytime showcases, afternoon jam sessions and midnight prayer. For more information click on the Creekside website or Facebook page. Some of the artists performing at Creekside include: The Pine Ridge Boys, Shellem Cline, Alliance Quartet, Drummond Family, Heart’s Song, Jason Runnels, Sharp’s Quartet, Jordan’s River, Griffins, McKay Project, Surrendered, Chandlers, Connells, The Hyssongs, Ava Kassich, The Williamsons and more. Monday, October 31st: SGNScoops and Dr. Jerry Goff honor Mr. Archie Watkins.Monday afternoon, the Exhibit Hall is open, filled with artists’ booths and singers waiting to chat with you. The Hall will be open every day and is part of your free admission to Creekside. The Diamond Awards will be presented during the Convention on Tuesday night, November 1st, 2016, during a celebration hosted by Dr. Jerry and Jan Goff. Make sure your favorite artist is recognized. Vote today! The Top Five nominees are waiting to be voted on by you! http://www.sgnscoops.com/the-2016-diamond-award-nominations-2/ Midnight prayer returns each night before you head to your room to rest up for the following day.